Turn heads in the off-shoulder Poppy evening gown, with 3D lace set to a full, structured skirt. 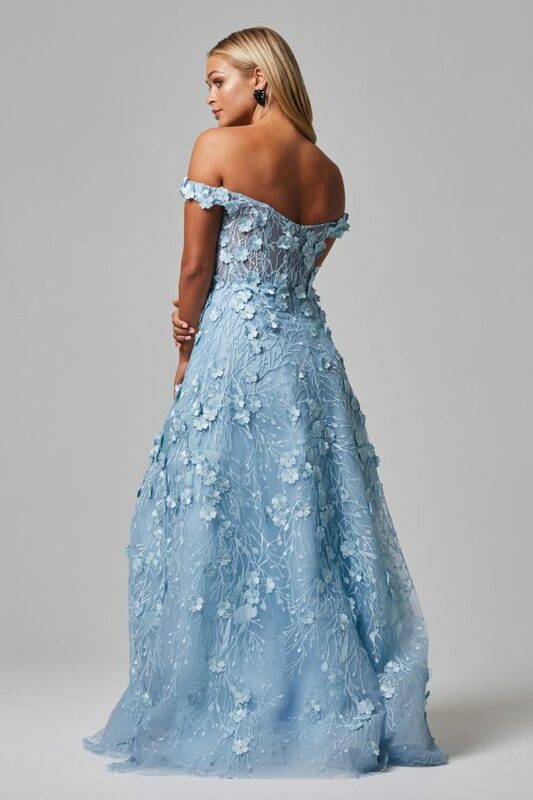 The Poppy evening gown is a unique creation crafted from flowered 3D Lace . Off-shoulder straps drop to a v cut front and back before falling to a floor length skirt. The slightly sheer bodice hints at midriff just enough to add a touch of allure to this beautiful gown.